Mavri Thalassa Restaurant with simple interior and a strict first-class service is renowned for its fish cuisine. Mavri Thalassa’s cooks offers all kinds of fish and other seafood. Every morning, fishermen bring fresh catch to this restaurant in Thessaloniki. Try bass cooked on charcoal, oysters with lemon and calamari. We also recommend paying attention to special offers from the chef. He will recommend a wine that will enrich and complement the taste of dishes you selected. 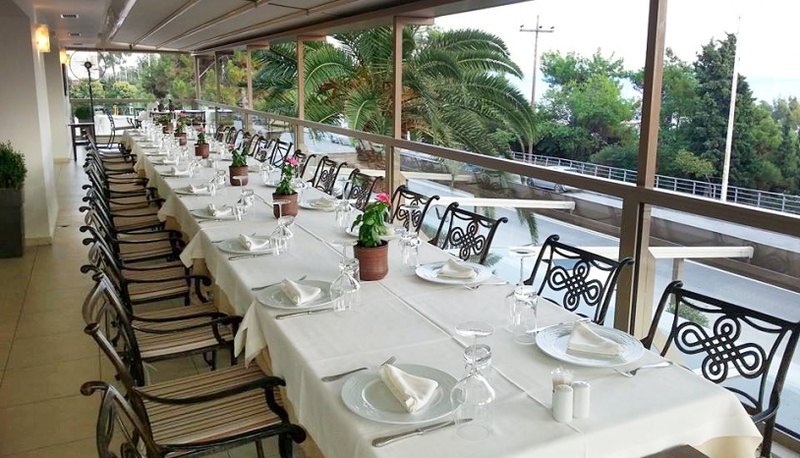 Restaurant Mavri Thalassa has been awarded for the quality of the cuisine. Tavern "1901" is located in the old part of the city of Thessaloniki. In "1901" you can taste the typical Greek dishes. You should start with "tzatziki" - cold-cream sauce of Greek yogurt, cucumber and garlic, served with vegetables and bread, or "meze" - assortment of appetizers. Mesa is hot and cold. We recommend trying seafood meze. Zythos Restaurant is adjacent to the magnificent old buildings in the historical district of Ladadika. This establishment offers pleasant atmosphere, friendly staff and excellent food. This restaurant in Thessaloniki serves the traditional Greek cuisine. The most impressive section of the menu is dedicated to meat dishes. A beer can be easily ordered among with grilled sausages. The restaurant also operates a seasonal menu. Trigona Elenidis. This pastry shop is another "sweet attraction" of the city. Here they bake cake "Trigon", which fame goes far beyond the borders of Greece. The cakes are crunchy and syrop soaked cups filled with butter cream. Thanks to this delicacy many tourists find this café to be one of the best restaurants in Thessaloniki. Address: Θεμιστοκλή Σοφούλη, 15, tel . : + 30-231-034-49-48. 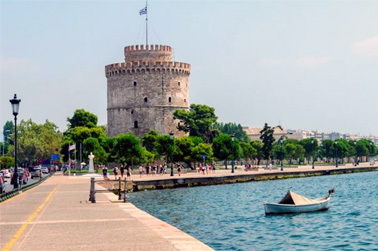 From time to time (for example, on Tuesdays) Thessaloniki cafes cut prices by almost half, or even more. At this time, the average check is only 10 EUR.